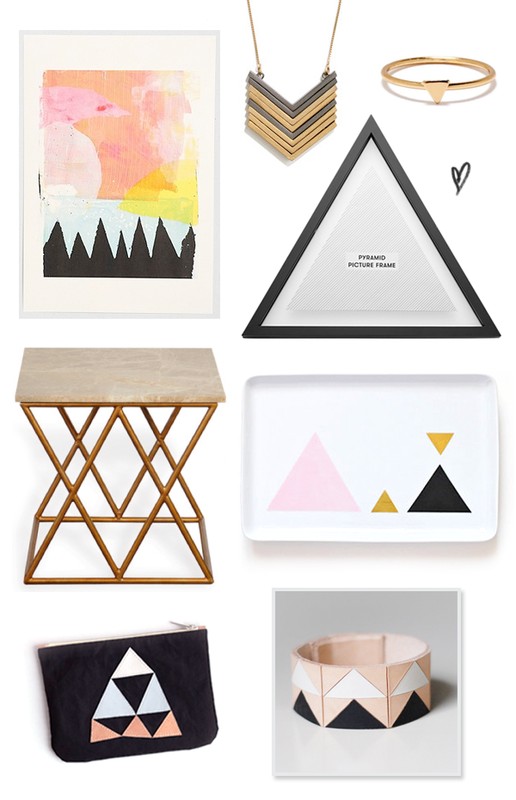 I am currently loving triangles on everything from servingware to side tables, so I thought I'd share a few of my favorite finds. How awesome is this art print from Ashley Goldberg? And I am loving this dainty gold triangle ring. Which are your favorites?